I first connected with fellow Christian author, Joanne Bischof, through a link on another writer’s blog. I felt an instant kinship when reading about her heartfelt fiction. I’ve also been blessed to have the opportunity to join the launch team for her upcoming novel, To Get to You (more on that, coming soon!). 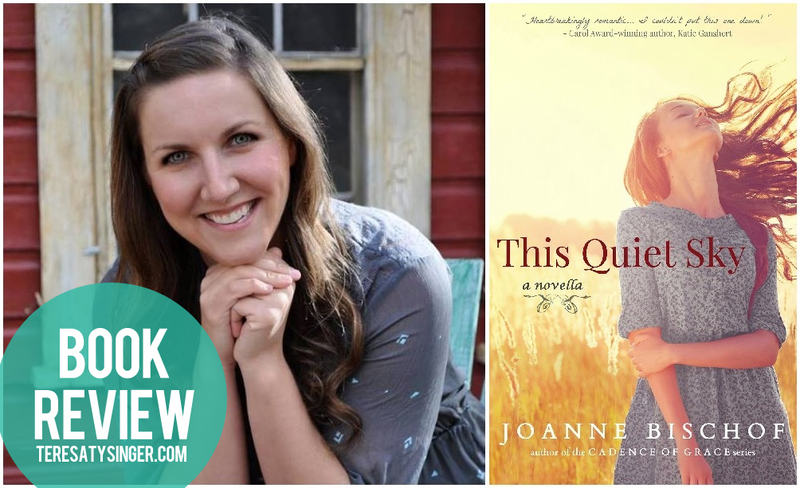 I was excited to read some of Joanne’s fiction, so started by ordering This Quiet Sky, a historical novella. And, wow, was I blown away! In fact, I read the book in under three hours, not able to put it down. Bischof writes with a tenderness that washes over you like a loved one retelling a story over coffee. She masterfully weaves together tragedy and hope, love and loss, and still left me fully satisfied at the close of the last page. contains elements of the story you’d rather discover for yourself. Set in the 1880’s in Rocky Knob, Virginia, Bischof effortlessly takes you back to the time of whitewashed buildings and foot worn paths and handmade dresses. Her descriptions are charming and nostalgic. Told from the perspective of sixteen-year-old Sarah Miller, who is new to town, we meet Tucker O’Shay when he is asked to tutor her in algebra. Falling in love with these two main characters was easy and inevitable. Sarah is sweet yet strong-minded and Tucker is wise, kind, and just enough sarcastic to remain charming. They compliment each other perfectly. The reader, like Sarah, knows almost instantly that Tucker is ill and the inevitable looms overhead like a plump, gray rain cloud. The love story is just as unavoidable…you see it coming, knowing it’s going to be difficult to read. Yet Bischof does a wonderful job of winding the tragic story with the mysteries of faith and life. This Quiet Sky tugs at every emotion with its heart warming and heart wrenching tale. A quick read, but one that will stay with you a long time to come. Keep your tissues nearby for this breathtakingly romantic story that ultimately overcomes tragedy by clinging to the promises of enduring grace and love.